The Machine is everywhere. It is under the everyday world, behind it, beyond it. Its mechanisms stretch through time and space, and alter events in ways that humanity cannot imagine. The God-Machine sends forth its angels to enact its will, delivering messages, building Infrastructure, protecting some people, killing others. And you were one of those angels. But not anymore. Now you are one of the Unchained, a fallen angel who defected to the human race. Yours is a world of false identities and clockwork conspiracies, stolen faces and hidden works of the Machine. You cannot — will not — return to the sterile embrace of Heaven. All you can do is reign in Hell. Released in 2014, Demon: The Descent is Onyx Path’s second new game line and the ninth game line for the Chronicles of Darkness, compatible with Chronicles of Darkness 2nd Edition rules. 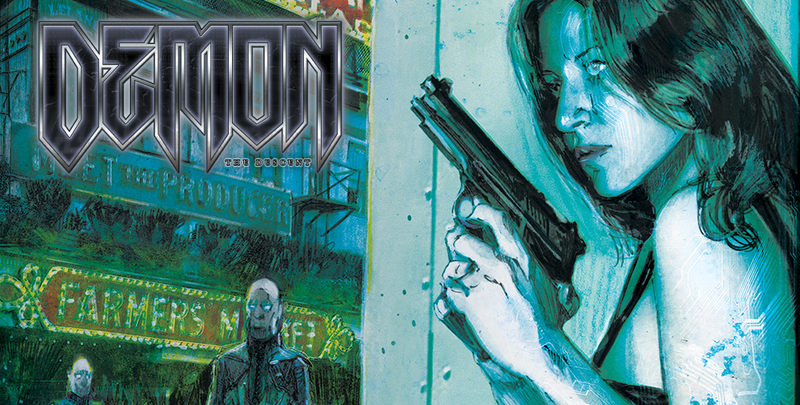 As a game of “techgnostic espionage,” Demon is one of the Chronicles of Darkness’ first forays into the realm of science fiction, albeit one still grounded firmly in horror and the supernatural. Expanded via an extremely successful Kickstarter campaign, Onyx Path has been pleased to bring the Demon line to the fans via PDF, print-on-demand, clothing options, and more. 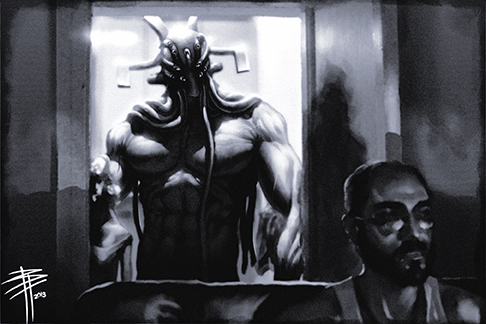 If this sounds interesting to you, head over to our DriveThruRPG storefront to get the Demon: The Descent Rulebook. Demon merchandise is available via our RedBubble store. Now Available: Dark Eras: After the Fall and Aeon posters! Now Available: Requiem for Regina, Nook/Kindle Wave 3, and Monthly Exalted!